Kat Tolentino could miss the anticipated matchup against Creamline due to a school commitment. 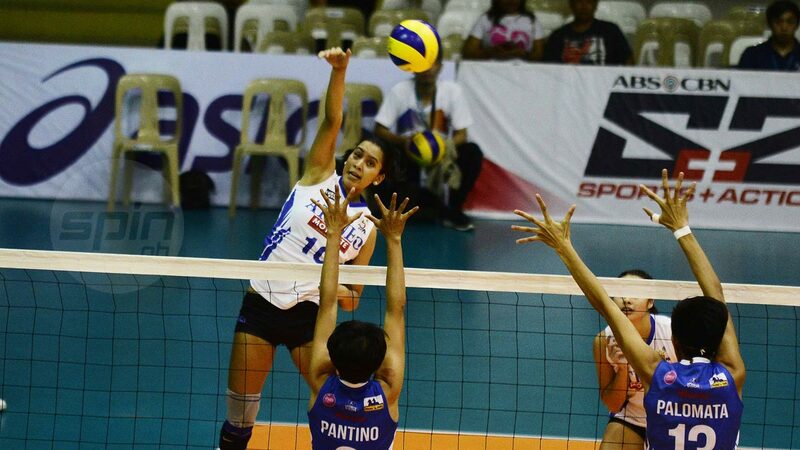 ATENEO-Motolite and Creamline will be playing against each other with undermanned lineups in their much-anticipated first-round showdown in the Premier Volleyball League Season 2 Open Conference on Sunday at the Baliwag Star Arena in Baliuag, Bulacan. Key players of Creamline and Ateneo-Motolite, who are tied at first spot with BanKo holding identical 5-1 win-loss records, are going to miss the battle for top place at 6:30 p.m.
Ateneo volleyball program head Sherwin Malonzo confirmed that seniors Kat Tolentino, Maddie Madayag and Ponggay Gaston will miss the game due to school activity, community immersion. “‘Yung immersion kasi part talaga yan ng school activity ng mga graduating sa academics. Naka-schedule talaga yan,” said Malonzo on the three players, who left for the school requirement Friday night. Malonzo added that Tolentino, the team’s leading scorer with 18.67 points in their first six games, might still go to Bulacan and will be a game-time decision. For Creamline, as tweeted by team manager Alan Acero early Sunday morning, the Cool Smashers will be missing Risa Sato, who is in University Games Dumaguete with National University, and Pau Soriano resting her knee, which went through surgery prior to the conference. Creamline coach Tai Bundit could be relying on bench players Coleen Bravo, Rizza Mandapat and Jem Gutierrez to help starters Alyssa Valdez, Jia Morado, Fille Cainglet-Cayetano and Mel Gohing as they take on the Lady Eagles, who will be bannered by Bea De Leon, Jules Samonte, Kim Gequillana, rookies Vannie Gandler and Isabela Peralta.